Playing catch-up on all my previous weeks’ assignments. The theme for this week is quite simple and am sure everyone’s got some great interpretations. I decided to use this image I clicked during my recent trip to Paris. 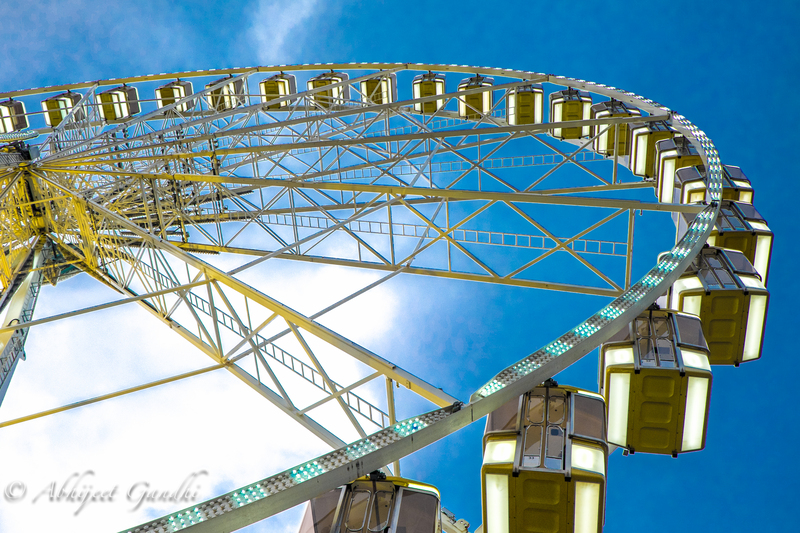 This is a picture of the Roue De Paris, which is one of the many wonderful sights you see while walking from the Louvre towards Champs Élysées. It is one of the more prominent ferris wheels in the city. It’s common knowledge that Ferris wheels are round. So instead of taking a shot of the ferris wheel from an angle that shows it in its entirety, I decided to click a different perspective. Since the weather in Paris was cloudy at the time when I took the shot, I decided to enhance the vibrancy and colours of the sky in Lightroom. Although I didn’t get a chance to sit and enjoy the ferris wheel, I certainly enjoyed taking pictures of this wonderful piece of Paris.